This image shows several large sabal palms. There are smaller palms growing in the area. Stereoview courtesy of Douglas Hendriksen. 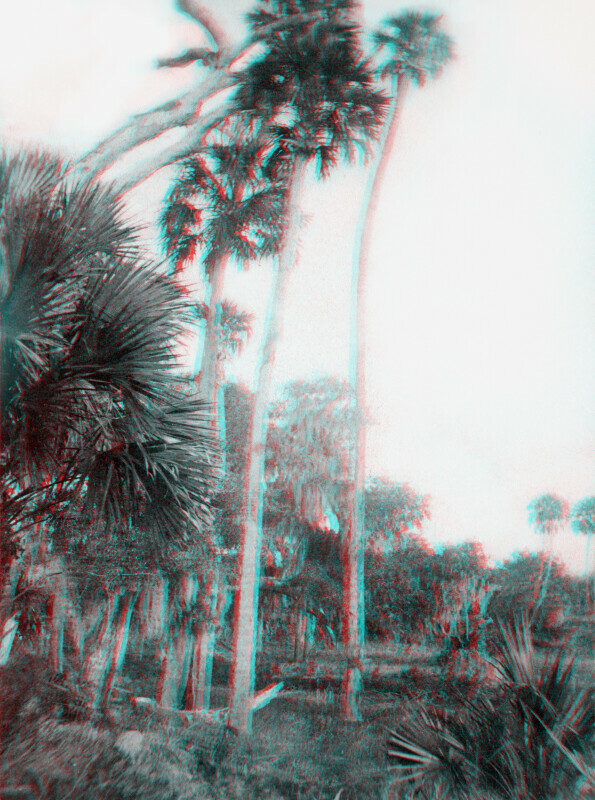 Image retouched and converted to anaglyph in 2011 by the Florida Center for Instructional Technology at the University of South Florida, Tampa, Florida. View this image using 3D glasses with the red lens over the left eye and the blue (cyan) lens over the right eye. This image is also available as a standard 2D photograph.